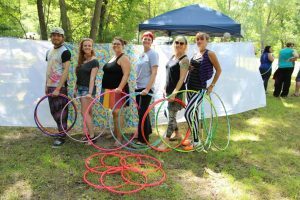 Over the past 3 years, the Michigan Hoop Dance Retreat has become known as an intimate hoop dance intensive that’s unlike any other “flow festival” you’ve attended. One of the main goals of MHDR is to help hoopers sink deeper into their hoops, and gain a fuller more in-depth understanding of their prop, not just a handful of new flashy tricks. We do this by only hiring instructors who are committed to bringing their very best hoop dance classes and skills to this event. MHDR is an exclusive event, and each attendee is looking for personal feedback. That’s why we’re looking for hoop dance teachers with top notch instructing skill that allows them to teach multiple skill levels and personalities at one time. MHDR instructors are passionate about hooping (or their respective flow art). They are leaders in the flow arts community who offer a unique perspective on hoop dance. They don’t necessarily have the most experience, or the longest tenure hooping, but they work incredibly hard every day to be better than yesterday. What is expected of instructors? 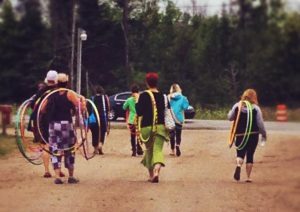 Instructors for the Michigan Hoop Dance Retreat are asked to teach 1-3 workshops. Most sessions are 1-hr long. MHDR is a community experience. Instructors are expected to participate in the event just like any other attendee. We’re all learners and have something to gain and give by taking others’ workshops. MHDR instructors are ambassadors for the retreat. This means you are our biggest supporters. You help share the event. You get your friends excited. And you come to the retreat, ready to share and receive openly. Our instructors are a huge part of the incredible loving and accepting atmosphere at MHDR and we count on you to help drive that energy. What benefits do instructors receive? Instructors at MHDR receive instructor pay, a full access ticket to the retreat, and early access camping. Most people who instruct at MHDR are blown away by the connections and opportunities MHDR offers them even after the event is over. MHDR is more than just another flow festival. The people you meet will love you like family and change your life forever. What if I already bought a ticket to MHDR? Your ticket will be refunded to you. MHDR instructors receive a full access pass to the retreat as part of their instructor compensation. Can I apply if I haven’t been teaching very long? Yes. MHDR strives to bring the most passionate and dedicated flow instructors to the retreat. Experience does not drive passion or dedication. Can I apply if I don’t teach hoop, but I do teach some other flow art? 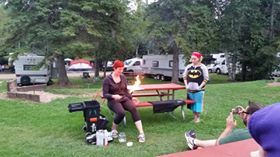 The 2018 Michigan Hoop Dance Retreat is August 10, 11, 12 at Sunset Place Campground in Mason, MI. MHDR is a community experience. Please plan on staying for the weekend and joining in on the fun. Applications are due by March 23rd 2018 at 9 pm EST. Please complete the form below and click submit to complete your instructor application. You will be notified by email whether or not you are selected to teach at MHDR2018. Hint: MHDR receives lots of applications. If you really want to be considered to teach at this event, follow the instructions in the application. Videos, or any other material submitted outside of the link below will not be considered.